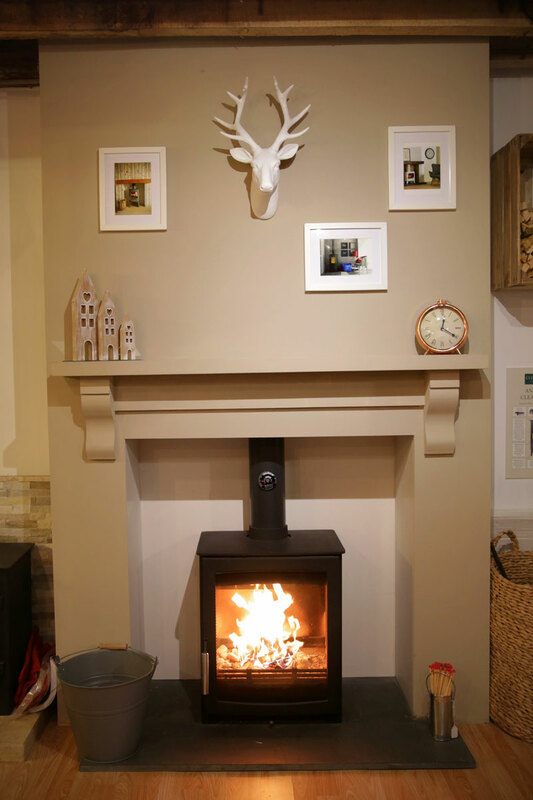 To complete the look, why not add a solid oak beam, mantel or shelf. 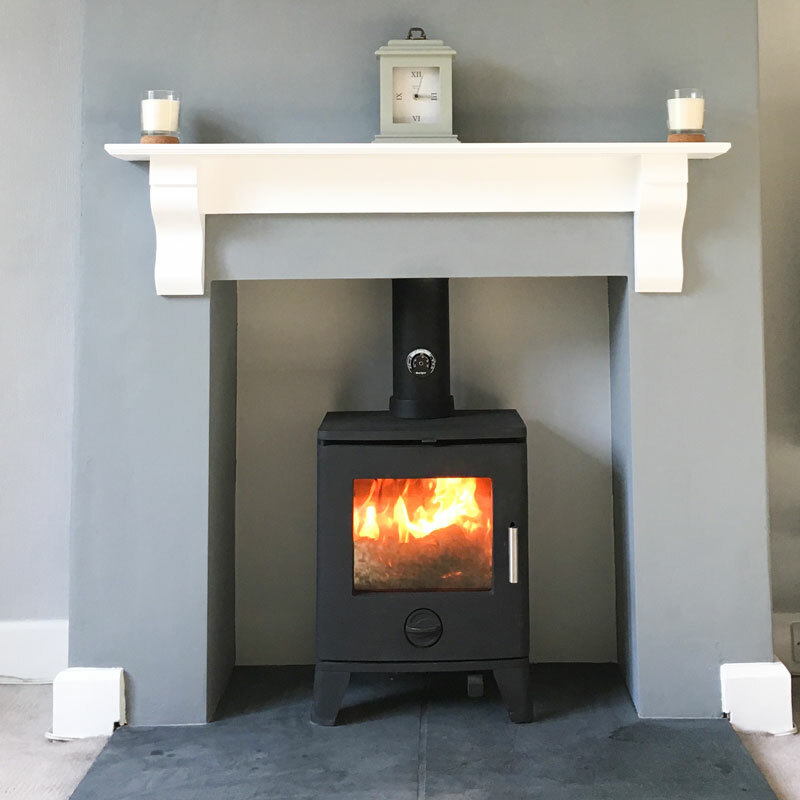 Browse some recent projects below and see some examples of what we have to offer. We’re very happy to provide and install solid oak beams or shelves to finish off your installation. 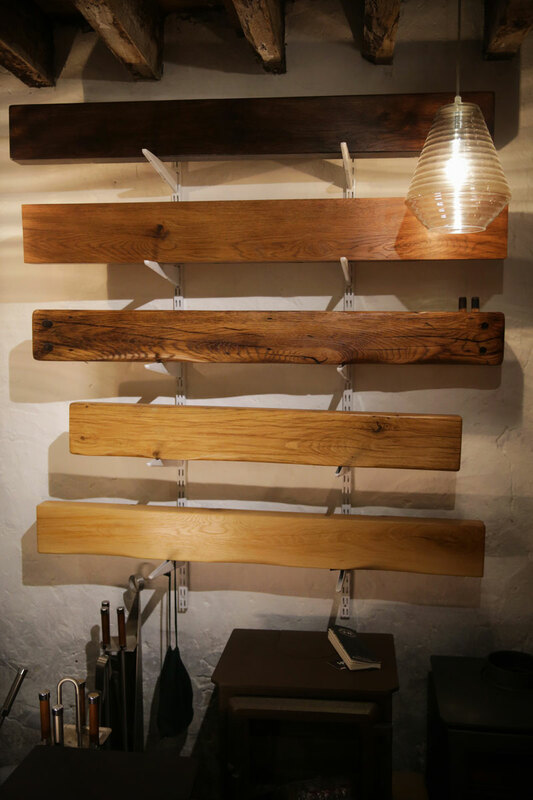 Our beams are locally made to order for every customer exactly how you want it. You can decide on colour, finish, shaping etc. Beams are always installed by us following installation to ensure the correct sized beam is ordered and enables you to decide 100% if you would like a beam or not. The piece of our beams starts from £220 including VAT, installation and fixings. Our shelves are locally made and can be provided in any size. 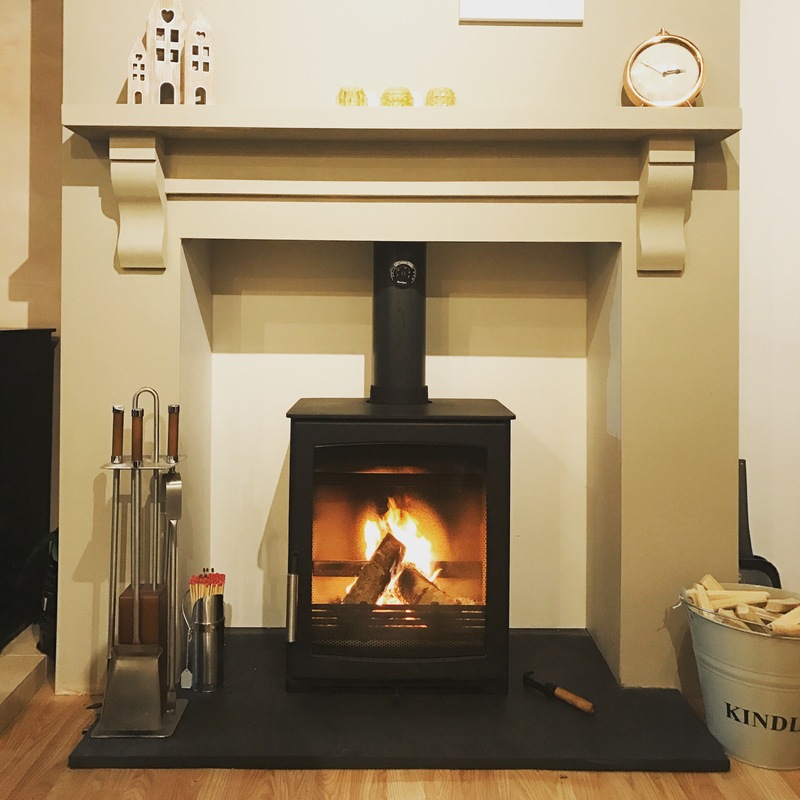 The shelves are made from from pine, include corbels and again are installed following installation and are generally supplied unfinished for you to paint in your chosen colour. Prices for our shelves start from £140 inc VAT, installation and fixings. Our beams and shelves can even be installed following decorating with no disruption so you can decide to have one fitted anytime you like. Just contact us for more details. 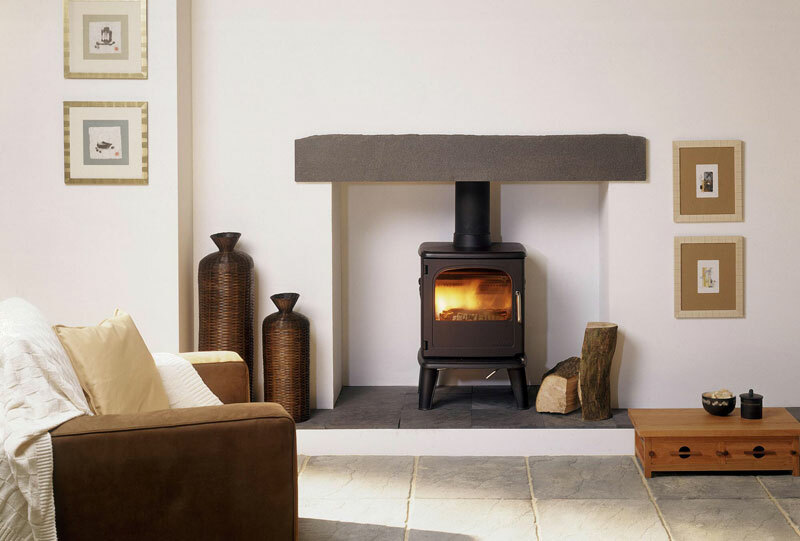 We have a great selection of beams and mantels in our premises.